A recent study conducted by the CDC found 1 in 3 Americans get less than 7 hours of sleep in a 24 hour period, resulting in sleep-deprived employees, drowsy college students, and comatose commuters.1 In recent years, Americans have made sleep more of a priority and have been taking extra measures to get an adequate amount, and this includes a renewed interest in daily naps. But can scheduling a sleep break into your day-to-day offset the effects of drowsiness and improve your overall health? Are You Going to Start Napping? There are two main types we are going to discuss today, the ones you plan and the ones you don’t. Emergency napping occurs when you’re so tired you cannot continue with your day without pausing for a brief siesta. Planned napping is more strategic. This happens when you’re planning for a long night ahead or you incorporate some shuteye into your day for an extra boost of energy.2 One sleepless night can wreak havoc on your physical and mental health, leaving you forgetful and groggy. But the good news is napping can really make a difference. To know how long a nap should last, it’s important to understand the stages of sleep your body goes through while resting. There are four stages of sleep— Stage 1, Stage 2, Stage 3 and REM sleep; each of these can last 5 to 15 minutes. Once your body goes through all of the stages, it has completed a full sleep cycle. Stage 1 is the lightest sleep stage; during this time your muscles begin to relax, you begin to feel drowsy, and your brain activity slows. It’s very easy to be woken during this time. During Stage 2, your body temperature begins to decrease, readying itself to enter deep sleep. This stage is defined by K complexes and sleep spindles, these protect your brain from being woken up from small sounds and stimulus around you while you sleep. During this stage, it’s a bit harder to wake yourself up. Once you enter Stage 3, you’re now considered to be in a deep sleep. This stage is the most restorative sleep stage and typically begins 35 minutes after you’ve fallen asleep. After Stage 3, your body enters into REM sleep. A full sleep cycle usually lasts 90 to 110 minutes. Taking sleep stages into consideration, the most effective naps are around 20 minutes long, or 90 minutes long. Sleeping for less than 30 minutes ensures you’ll be waking up before your body enters Stage 3 of sleep. Waking up in Stage 3 or REM sleep stage can lead to you feeling groggy. A 90-minute snooze allows your body to undergo one full sleep cycle, entering Stage 1, 2, 3 and REM sleep. Napping must be done strategically and effectively to reap the benefits. If you sleep too long, you risk grogginess and sleep inertia. Everybody has unique sleep habits and will respond to naps differently. Time it right: Unless you have an hour and a half to designate to sleep, allowing your body to rest for one whole sleep cycle, we recommend keeping your naps around 20-30 minutes. After 30 minutes, you have a higher chance of entering into Stage 3 sleep, which will leave you waking up groggy and tired. Schedule your shuteye for the middle of the day: You should plan to start napping 5-6 hours after you wake up and start your day, this helps break your day in half and avoids a midday slump. Sleeping within the 5 hours before bed can make it difficult to fall asleep at night. Planning your break earlier in your day helps you get restorative sleep during your day without sacrificing your quality of sleep at night. 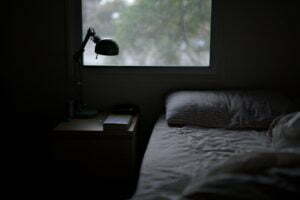 Find a dark, quiet, calm place: Limit light and noise as much as possible to get the most restful sleep. If you find it difficult to find a dark, quiet place, utilizing an eye mask and earplugs can help you tune out your environment. Prepare your body for rest: It goes without saying, it is best to be lying down versus sitting up. To get the best sleep, find a place to lie down and stretch out. Eliminate distracting thoughts about work or the day ahead and focus on the time you’ve allotted yourself to decompress and refresh. Set an alarm: Set an alarm to make sure you don’t sleep longer than planned. In the short term, napping can improve your mood and cure your daytime fatigue. They increase your alertness and reaction time, reduce anxiety, stress, and tension, and improve your learning abilities. A recent study found a midday snooze restores brain power by consolidating the information you’ve learned during the day. This leaves your brain refreshed and ready to learn more information or tackle the next task at work. If you habitually experience daytime fatigue, or a strong desire to keep sleeping in, and find daytime napping doesn’t help, you may have a sleep disorder such as insomnia or sleep apnea. We encourage you to talk with your doctor if you feel you may have the symptoms of a sleep disorder. In more recent years, doctors and sleep specialists have started studying the benefits of napping on our mental and physical health. 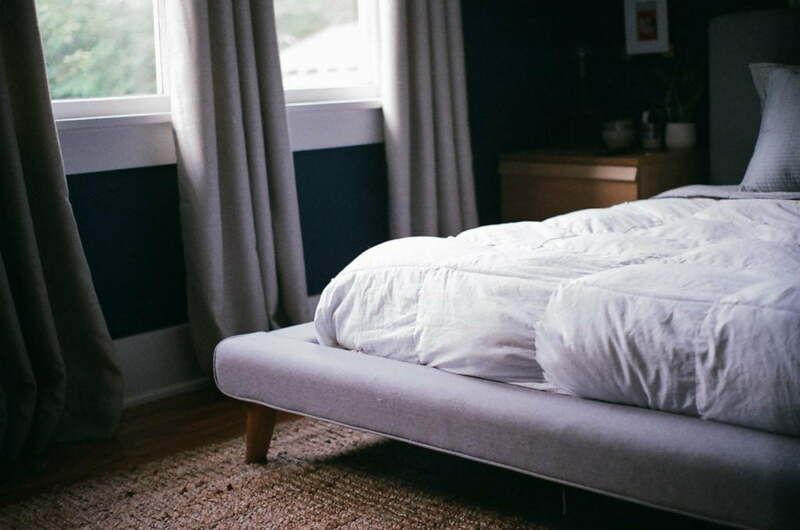 Because so many Americans aren’t getting the proper amount of sleep at night, midday napping has risen in popularity, with some companies such as Facebook and Google encouraging their employees to take a snooze on the clock. Studies have found napping can boost your mood, eliminate fatigue, increase mental alertness and cognitive functioning, and improve your overall quality of work. Getting at least 8 hours of Zzz’s every day is crucial to your overall health. When you aren’t able to get 8 hours of sleep at night, it’s important to find time in your day to catch up on sleep. As always, we encourage you to keep a sleep journal documenting your sleeping habits, including when you go to bed, how fast you fall asleep, when you wake up, when you start and stop napping, as well as when you’re consuming caffeine. A sleep journal will help you keep track of your quality of sleep and pinpoint places where you can improve your sleep hygiene. If you can find time in your day-to-day to incorporate a daily snooze, we highly encourage you to do so. The importance of sleep is nothing to downplay, ensuring you’re getting enough of it helps you lead a happy and healthy life.